Look at this idea from Jacquie of Tallgrass Prairie Studio. 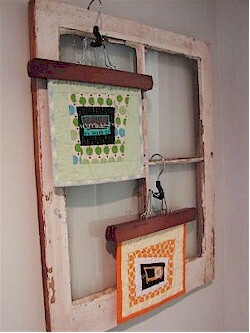 She uses a weathered old window and wooden pants hangers to display her mini quilts, rotating them as often as she wishes. Brilliant! See the post.